While doing research in South America four decades ago, anthropologist Claude Lévi-Strauss found an indigenous tribe whose people claimed they could see the planet Venus in the daytime. This seemed impossible to him. But he later consulted astronomers who told him that in fact Venus does emit enough light to be visible by day to a highly trained human eye. 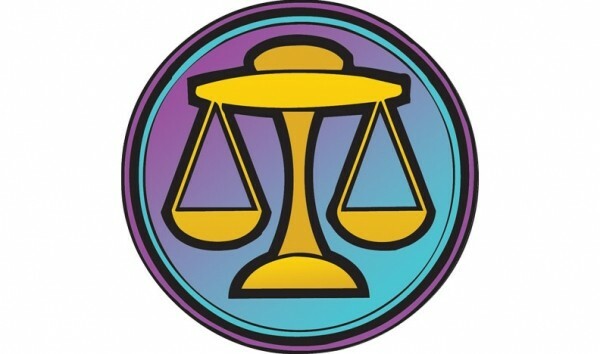 My prediction for you, Libra, is that in the coming months you will make a metaphorically equivalent leap: You will become aware of and develop a relationship with some major presence that has been virtually undetectable. And I bet the first glimpse will come this week. Whether or not anyone has ever called you an “old soul” before, that term will suit you well in the coming months. A whole lot of wisdom will be ripening in you all at once. Past events that never quite made sense before will more clearly reveal the role they have played in your life’s master plan. Relatively unimportant desires you’ve harbored for a long time will fade away, while others that have been in the background—and more crucial to your ultimate happiness—will rise to prominence. In most of my horoscopes I tell you what you can do to make yourself feel good. I advise you on how can act with the highest integrity and get in touch with what you need to learn about. Now and then, though, I like to focus on how you can help other people feel good. I direct your attention to how you can inspire them to align with their highest integrity and get in touch with what they need to learn about. This is one of those times, Sagittarius. I’m hoping you have your own ideas about how to perform these services. Here are a few of my suggestions: Listen with compassionate receptivity to the people you care for. Describe to them what they’re like when they are at their best. Give them gifts they can use to activate their dormant potential. If you’ve ever watched tennis matches, you know that some players grunt when they smack the ball. Does that help them summon greater power? Maybe. But the more important issue is that it can mask the sound of the ball striking the racket, thereby making it harder for their opponents to guess the force and spin of the ball that will be headed toward them. The coming week would be an excellent time for you to hunt down a competitive advantage that’s comparable to this in your own field of endeavor. Many people seem to believe that all of America’s Christians are and have always been fundamentalists. But the truth is that at most 35 percent of the total are fundies, and their movement has only gotten cultural traction in the last 30 years. So then why do their bizarre interpretations of the nature of reality get so much play? One reason is that they shout so loud and act so mean. Your upcoming assignment, Aquarius, is to do what you can to shift the focus from small-minded bullies to big-hearted visionaries, whether that applies to the Christians in your sphere or any other influences. It’s time to shrink any tendency you might have to get involved with energy vampires. Instead, give your full attention and lend your vigorous clout to life-affirming intelligence. [WARNING: The following horoscope contains more than the usual dose of poetry.] Mirthful agitation! Surprising deliverance! I predict you will expose the effects of the smoke and mirrors, then find your way out of the labyrinth. Lucid irrationality! Deathless visions! I predict you will discover a secret you’d been hiding from yourself, then escape a dilemma you no longer need to struggle with. Mysterious blessings arriving from the frontiers! Refreshed fertility roused by a reborn dream! I predict you will begin to prepare a new power spot for your future use. “In a full heart there is room for everything,” said poet Antonio Porchia, “and in an empty heart there is room for nothing.” That’s an important idea for you to meditate on right now, Aries. The universe is conspiring for you to be visited by a tide of revelations about intimacy. And yet you won’t be available to get the full benefit of that tide unless your heart is as full as possible. Wouldn’t you love to be taught more about love and togetherness and collaboration? As I turn inward and call forth psychic impressions of what’s ahead for you, I’m seeing mythic symbols like whoopie cushions, rubber chickens, and pools of fake plastic vomit. I’m seeing popcorn shells that are stuck in your teeth and a dog that’s eating your homework and an alarm clock that doesn’t go off when it’s supposed to. But as I push further into the not-too-distant future, exploring the deeper archetypal levels, I’m also tuning into a vision of fireflies in an underground cavern. They’re lighting your way and leading you to a stash of treasure in a dusty corner. “It was the best of times, it was the worst of times.” That’s the opening sentence of Charles Dickens’ bestselling novel A Tale of Two Cities. The author was describing the period of the French Revolution in the late 18th century, but he could just as well have been talking about our time—or any other time, for that matter. Of course many modern cynics reject the idea that our era is the best of times. They obsess on the idea that ours is the worst of all the worst times that have ever been. When your worried mind is in control of you, you may even think that thought yourself, Gemini. But in accordance with the current astrological omens, I challenge you to be a fiery rebel: Come up with at least five reasons why this is the best of times for you personally. “Art washes away from the soul the dust of everyday life,” said Pablo Picasso. That’s certainly true for me. I can purify my system either by creating art myself or being in the presence of great art. How about you, Cancerian? What kinds of experiences cleanse you of the congested emotions that just naturally build up in all of us? What influences can you draw on to purge the repetitive thoughts that sometimes torment you? How do you go about making your imagination as fresh and free as a warm breeze on a sunny day? I urge you to make a study of all the things that work for you, and then use them to the max in the coming week. One of the reasons platinum is regarded as a precious metal is that it is so infrequently found in the Earth’s crust. A second reason is that there are difficulties in extracting it from the other metals it’s embedded in. You typically need ten tons of ore to obtain one ounce of platinum. That’s a good metaphor for the work you have ahead of you, Virgo. The valuable resource you’re dreaming of is definitely worth your hard work, persistence, and attention to detail. But to procure it, you’ll probably need the equivalent of several tons of those fine qualities.